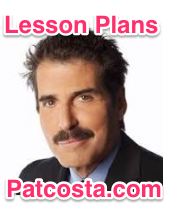 I would often use John Stossel Lesson Plans and Worksheets in my government class as he highlights different aspects of government and highlights what the role of the government in society and economy should or should not be. These came as videos on a DVD but now can be found in YouTube or his site below. I’ve also included some of his video guides below. One of my favorite videos was Greed. Particularly, when discussing the role of the economy.